Ben Oglivie enjoyed one of the better seasons of his career in 1979. 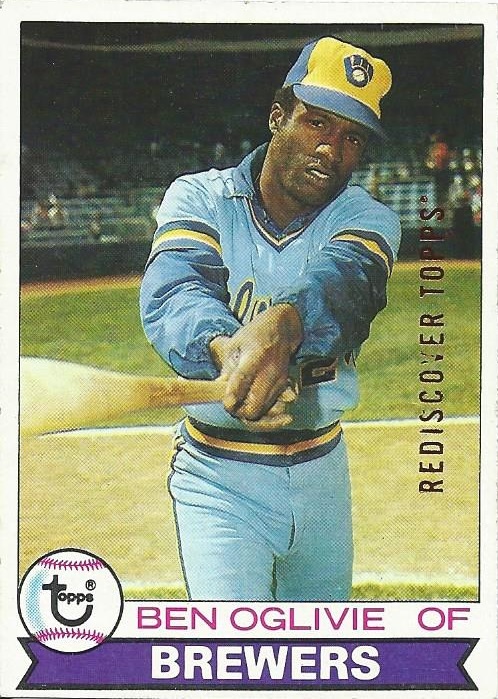 It was the only season where he'd reach 30 doubles, and he also accumulated 29 home runs and drove in 81 despite missing more than twenty games. A nice bat barrel photograph on this one, too. 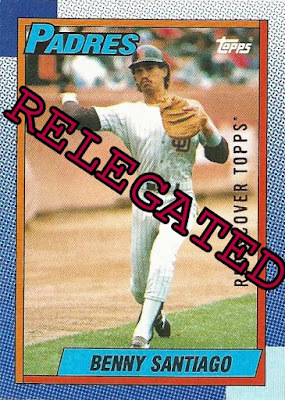 Jim Todd's '75 release has had a hold on slot 519 of the franken-set binder for a while now, but can he defend his spot against Oglivie? 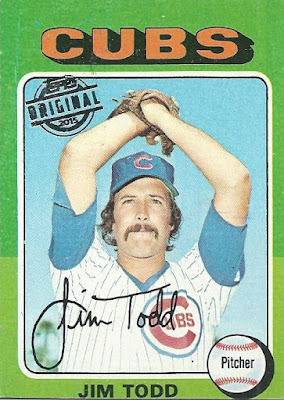 Jim Todd stays in the binder for now. I think I made the wrong call here in retrospect. I'm a much bigger fan of '75 Topps than I am of '79, and I think I let that taint my decision. I may end up reversing this one at some point. 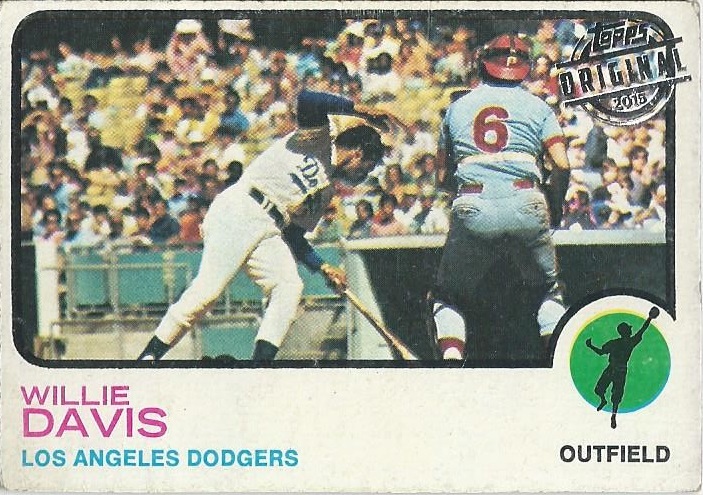 The Oglivie card is just plain nicer. 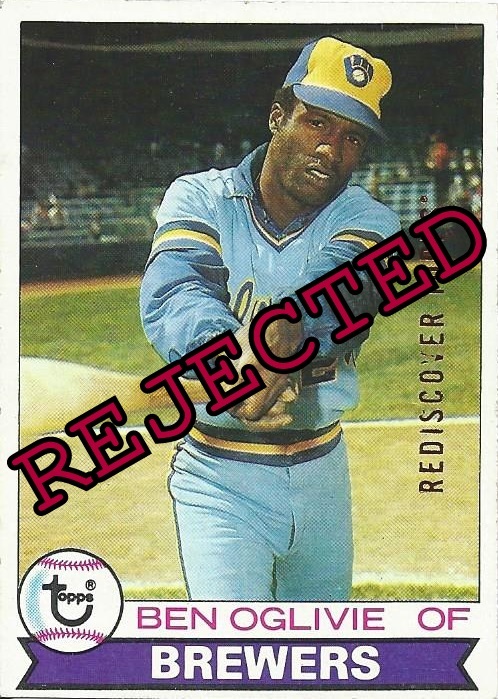 ...this one's from the Traded set, which makes it ineligible. 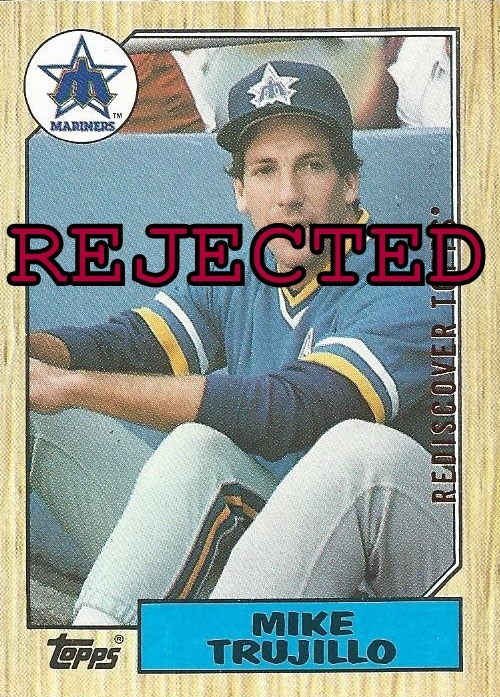 Maybe someday I'll try an Update/Traded buyback franken-set, but for now it's off to the rejected buybacks box for Mike. Here's pitcher Mike Trujillo, who debuted with the Boston Red Sox a couple of seasons before this card was printed. 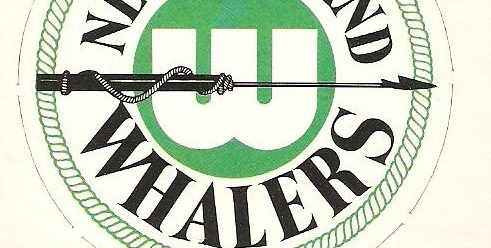 I like the retro Mariners logo but let's face it, this is about as dull as 1987 Topps gets. 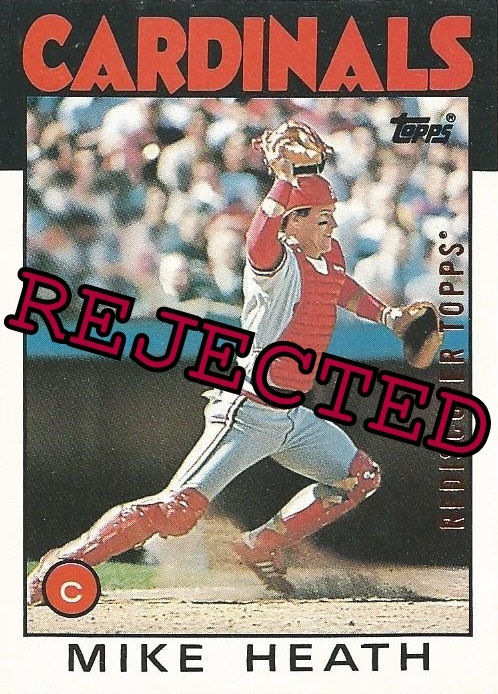 To make matters worse, Trujillo has to face this fantastically red Mike Greenwell All-Star buyback for a shot at the binder. How about light-hitting infielder Jose Uribe preparing to take a hack on his '89 release? Well, thanks to its nice high number it makes the binder without competition. Proof that at this stage of the project you don't necessarily have to be a super interesting card to make the cut, you sometimes just have to be lucky. 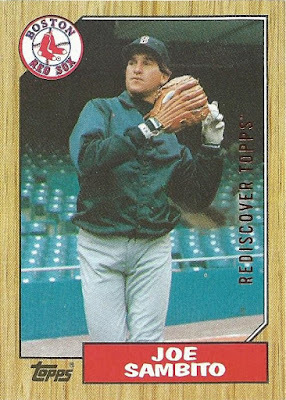 Always pleased to land a new Red Sox buyback, even if it is from everyone's favorite over-produced set. '87 was the final year of Sambito's 11-season MLB career. 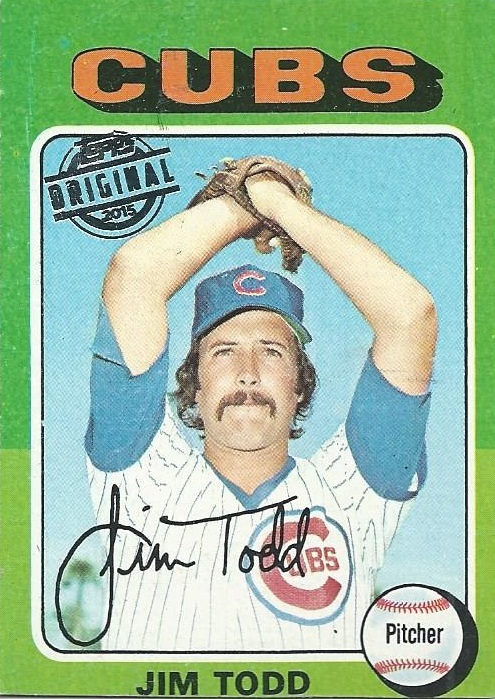 In 45 appearances he posted an ERA of 6.93 on what was a very uninspiring 5th place team. 1987 was not a great year to be a Red Sox fan. This is the first #451 buyback I've encountered to date, Joe's in! 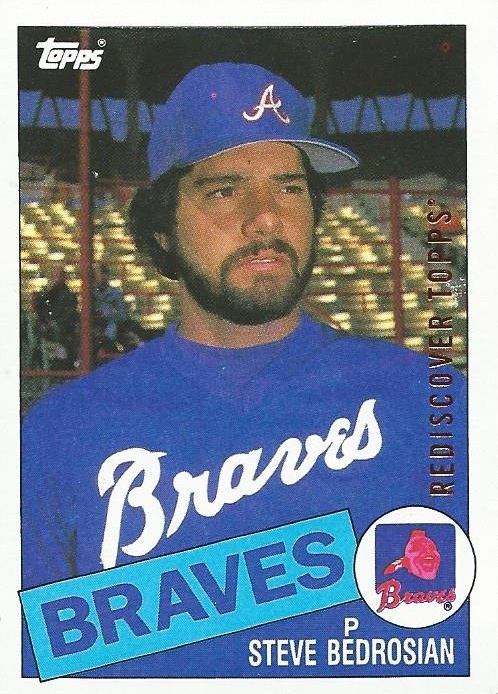 Thanks to this card I learned a new fact about Steve Bedrosian. I remember Steve as a dominant closer with the Phillies, who won a Cy Young in 1987 thanks to his league-leading 40 saves. In 1985 though, Bedrosian's last year in Atlanta, the Braves used him exclusively as a starter for the only time in his career. He made 37 starts that season, going 7-15 for an unbelievably bad Braves team (96 losses). Amazingly, this is my first #25 buyback and that's three new numbers in a row here! 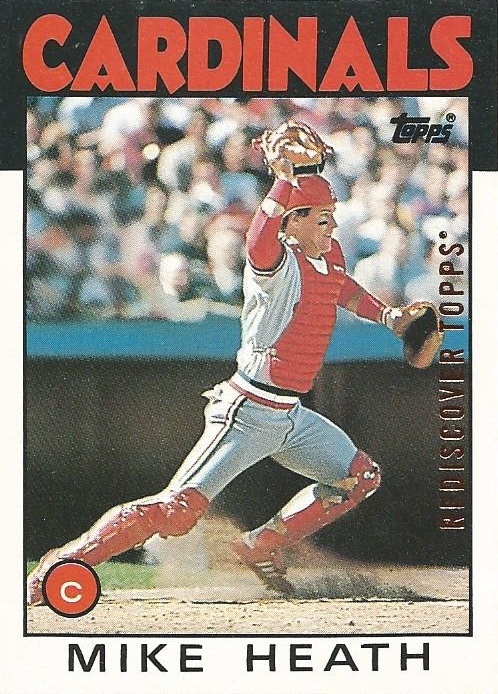 Here's a 1990 Topps buyback of catcher Benny Santiago. 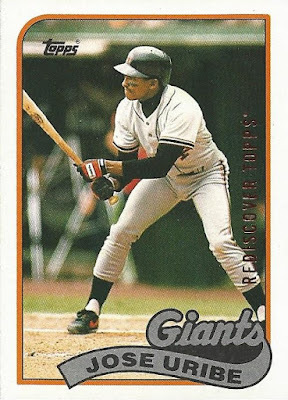 Nowhere near as nice as his iconic 1991 card, admittedly. Will this one make the franken-set, or head off to my separate 1990 Topps buyback binder? ...and it certainly won't be Benny. Off to the 1990 buyback binder for him, which works out quite well. That's only seven buybacks, but I'm going to call it here for today. Reason being is that these seven take me to a nice, tidy 995 buybacks overall. 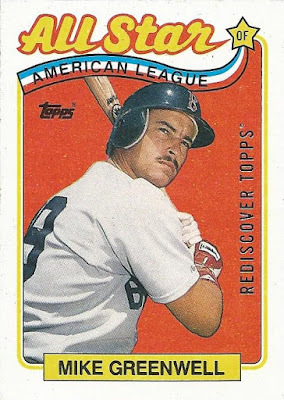 To celebrate my crossing of the 1,000 buybacks threshold, I'm going to feature five superstar buybacks over the next five posts, working up to a real doozy for buyback number 1,000. If you've been enjoying this project so far then I think you'll really like what I have queued up for the next few days! 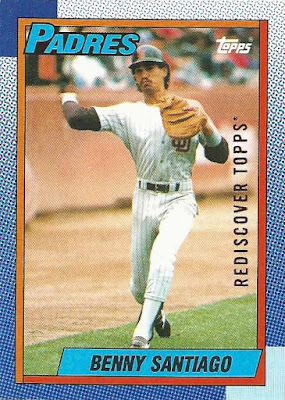 Oddly enough, I just pulled a card of Steve Bedrosuan's son, Cam, from 2018 Topps. Looking forward to the milestone post! It seems like every time I question or disagree with your binder choices I read a little further and find that you regretted that decision, like with the Ogilvie. Great minds think alike! Can't wait to see which card will be buyback #1000! That Heath card is fantastic!